The pineapple (Ananas comosus) is a tropical plant with edible multiple fruit consisting of coalesced berries, and the most economically significant plant in the Bromeliaceae family. Pineapples may be cultivated from a crown cutting of the fruit, possibly flowering in 20–24 months and fruiting in the following six months. Pineapple does not ripen significantly post-harvest. 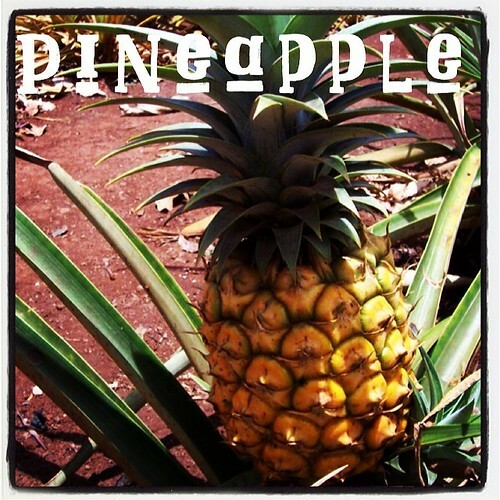 Pineapples are consumed fresh, cooked, juiced, and preserved, and are found in a wide array of cuisines. In addition to consumption, in the Philippines the pineapple’s leaves are used to produce the textile fiber piña– employed as a component of wall paper and furnishings, amongst other uses. The word “pineapple” in English was first recorded in 1398, when it was originally used to describe the reproductive organs of conifer trees (now termed pine cones). The term “pine cone” for the reproductive organ of conifer trees was first recorded in 1694. When European explorers discovered this tropical fruit in the Americas, they called them “pineapples” (first so referenced in 1664 due to resemblance to what is now known as the pine cone).